To the average person, taking care of one’s finances might seem like an easy task. This might be the common assumption until the time actually comes to look at current levels of savings and spending. For many, the revealed information might not be an appealing one. Too little money ends up being saved and what has been saved might not have gone into the right investment vehicle. For those who are confused about how to properly manage their finances in an effective manner, hiring a financial advisor might be the best strategy to follow. The main reason to hire a financial advisor is so you can gain a proper hold on every financial aspect of your life. Investing is not the only area where financial help may be required. Areas such as insurance, business endeavors, and even entertainment spending all come with fiscal consequences. Not everyone has a solid handle on their finances because they do not always realize the full scope of what their finances entail. A reliable financial planner can examine each and every facet of spending, borrowing, and saving, and help a client travel on a much better and more sustainable fiscal path. Financial planners can often be better trusted to make good decisions on behalf of clients because they do not have any biases or personal feeling related to the situation. Often, people have a difficulty getting their fiscal house in order because they have personal attachments that cloud their judgment and thinking. A financial planner looks at things from an outside the box perspective. As a result, a more honest approach to dealing with fiscal issues is possible. 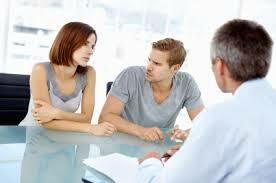 A financial advisor also possesses a great deal of experience in such matters. This means he/she has the ability to help someone move in the right fiscal direction without any needless delays. The quicker finances get back on the right track, the quicker the client and family finances can benefit from the results. Your finances are important and they do need to be on the right track. Consider this the most important reason of all for hiring a financial professional. Be the first to comment on "Why should you use a financial advisor?"